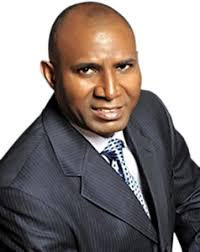 Senator representing Delta Central Senatorial district, Obaisi Ovie Omo-Agege, has advised the Urhobo people to ensure they reelect President Muhammadu Buhari in the 2019 general election stressing that reelection of Buhari is in the best interest of the Urhobo nation. The lawmaker made the appeal at Ughelli, Otu-Jeremi and Otor-Udu in Ughelli North, Ughelli South and Udu council areas of the state during a consultative visit to the leaders, elders, ward and local council executives of the All Progressives Congress, APC on reelection bid ahead of the 2019 general elections. Accompanied by Chief Great Ovedje Ogboru, APC Delta Central chairman, Olorogun Adalabu Bodjor, Sir Richard Odibo and other leaders of the party, Omo-Agege posited that the visible change being witnessed in parts of the state, were as a result of the efforts of the presidency. He stated that, if the president could do so much in less than three years in office, it would be in the interest of the Urhobo nation to ensure that he is reelected for a second term in office to attract more infrastructural development to Delta central and Delta State at large. Speaking on the impasse rocking the Delta state chapter of the APC, who hinted that the crisis is pretty much resolved, said: “The battle has been fought, lost, won and there is no victor and there is no vanquished. “We didn’t go into that fight to deprive people of their right to control the party, but went into it to make sure that we took control of the party from those who would otherwise commercialize the party because we do not want a monarch or an emperor in this party.